I didn't understand it, how could I be cold? I mean I was running 8 Km at that stage, my body must have been warm - shouldn't running raise up metabolism? Well the answer is No! I had to urinate multiple times per night - I didn't understand why. It continued like this on and on till I read "The Vegan Solution - Why the Vegan Diet Often Fails and How to Fix It" by Matt Stone !! then it stopped!!! Let me cut it to the chase - It's the reduced metabolic rate!! Vegans don't eat enough calories. They are busying themselves with micro nutrients, organic or not, fiber and all that but they forget about the first thing that counts - Calories - you should have enough calories to have your machine work. Slow finger nails growth or cracked/brittle nails. Dry skin esp near the hands and lower legs and feet. Slow growing leg hair & beard. Bloating or delayed stomach entine. Heart burn, indigestion, nausea after eating. Frequent urination, night time urination, strong sudden urges to urinate. Belly fat esp w low muscle mass and poor strength. And there are more - way more. Many people on many diets experience suppressed metabolism issues, not only vegans - they low fat, low carb, low calorie tend to shutdown thyroid function. Not consuming enough calories - When you diet is vegetables based, even if you eat tons of vegetables - your calorie intake shall be small. You can fill your stomach, feel as if you are not hungry and you can do that on very low calorie intake. The cruciferous vegetables that are promoted by vegans because of their miraculous anti cancer capabilities have an enzyme called goitrogen which interferes with the formation of thyroid hormone in people with iodine deficiency. And guess what? Strictly nutritarian vegans don't consume salt and ARE iodine deficient... The good news is that cooking these cruciferous vegetables for 30 minutes can significantly reduce the amount of goitrogens but most vegans and raw-foodists insist on eating these things raw. Eating too many nuts and seeds as well as Avocados. These foods contain linoleic acid (LA). It's an omega 6 fatty acids which makes the ratio between omega 6 and omega 3 too high. LA also is known for suppressing the thyroid function. Consuming too many vegetable oils. These oils also contain considerable amounts of LA. Cleansing, fasting and detoxing thus lowering metabolic rate. Consuming too many watery foods, such as veggies, water melons, fruits. The high water content feels you up w/o many calories. The water itself is lowering the body temperature. Drinking too much water and herbal teas - for the same reasons. Consuming too little sodium. Sodium is the primary electrolyte in the extra-cellular fluid and is involved in fluid balance and blood pressure control. Doing too much exercise. Many vegans are doing too much exercise cause they believe the more the better, they believe they raise their metabolism - quite the contrary - yes while exercising the body metabolism rise but then, after exercise it drops and I experienced this personally. Eating too many raw foods. Eating raw food means chewing a lot, consuming your calories very slowly so at the end of the day you don't get enough calories. Cooked foods are easy to consume so you get you calories faster. Consuming too many beans and legumes. Stress is a great opponent to metabolism. 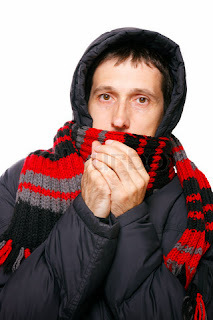 When stress hormones become elevated, body temperature tends to fall, stress hormones constrict the blood vessels in your extremities making the hands, feet, nose, ears especially chilly. Stress hormones are also diarethic making you want to empty you bladder no matter if it's full or not. He suggests to forget about Joel Fuhrman's equation where you want to maximize N/C (nutrients/ calories). Metabolic Increase = (calories + carbs + salt) / (volume + water content). In other words he's saying that you want to have more calories, carbs and salt per volume and water content of food that you ingest. He's saying that he too came from this school of thought were any refined food like dry fruit was sub optimal, any form of salt is toxic and if you ate any amount of cooked food you were not quite ready to go all raw yet. But then when he talked to his raw-foodist friends they told him that just sprinkling a little bit of salt on their evening salad can improve his sleep significantly, he tried it and it succeeded. So my take from all of this is not to exaggerate with the low calorie concepts - I should still have my metabolism working. And this is also one of the reasons I decided to double my fats consumption - instead of 50 grams a day of nuts & seeds - I consume now 100 grams per day. And yes, now my body can burn calories and I am no longer cold. 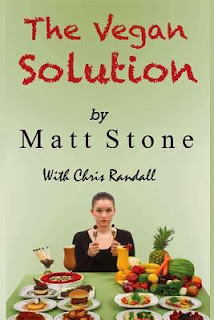 Yes, whatever Matt is saying is against calorie restriction but actually we should think and re-think calorie restriction - they are lowering the body temperature, the are living the life of a slaw, dead people walking... - and I am not sure if it makes sense. As I said - this blog is all about my journey into health, longevity and fitness. I started it as a fat slob, I tried the weight watchers approach for a month, I changed to Joel Fuhrman and I now add some calories and less icy blue water. I highly recommend this book to vegans, raw foodist and health nuts - read it before it shall be too late. idiot.You know nothing about food and nutrition.